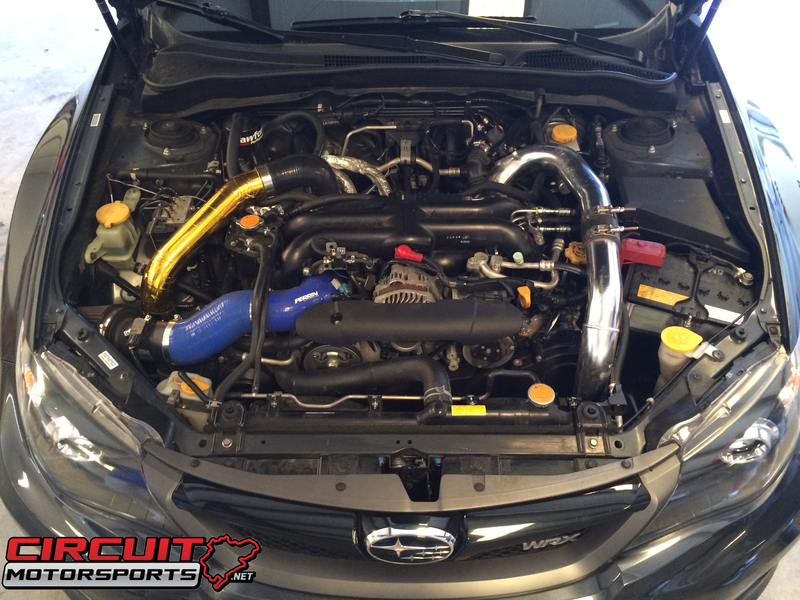 Circuit Motorsports: Flat-Out: 2011 Subaru WRX Cobb Tuned - Over 400 Torque to the Wheels! 2011 Subaru WRX Cobb Tuned - Over 400 Torque to the Wheels! 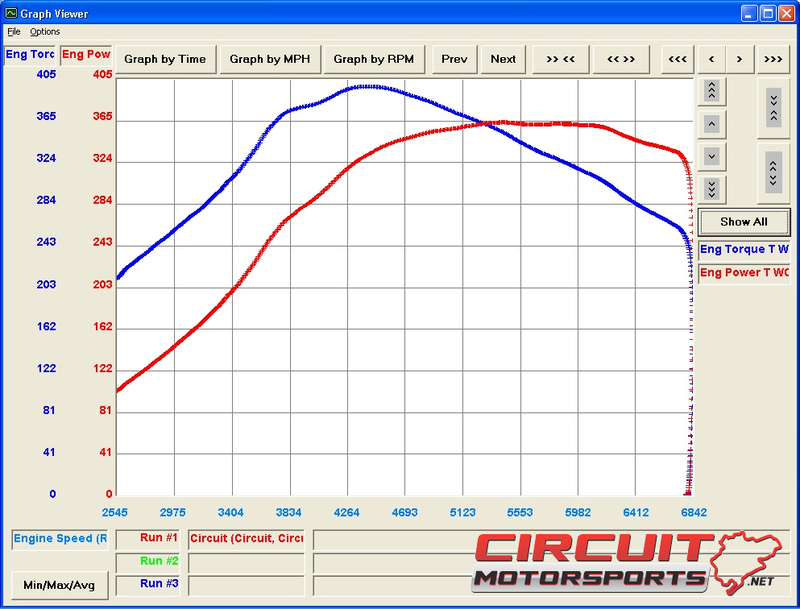 Circuit Motorsports has tuned another 2011 WRX recently and we got fantastic results - 365hp/404tq - To the Wheels, On a Mustang dyno, on a stock turbo! Before we tuned the Car we added a few select modifications to the car here at our Subaru Specialist Shop in Orlando, FL. We installed a Tomei EL Header, Zerolift Composite TGV deletes, Injector Dynamics Injectors, as well as removing and deleting the factory air-pump. The Air-pump is a large heavy, bulky item that is not needed in any way for the car to drive or perform well, it's purely for emissions, and we recommend deleting the pump if and when you do TGV deletes. 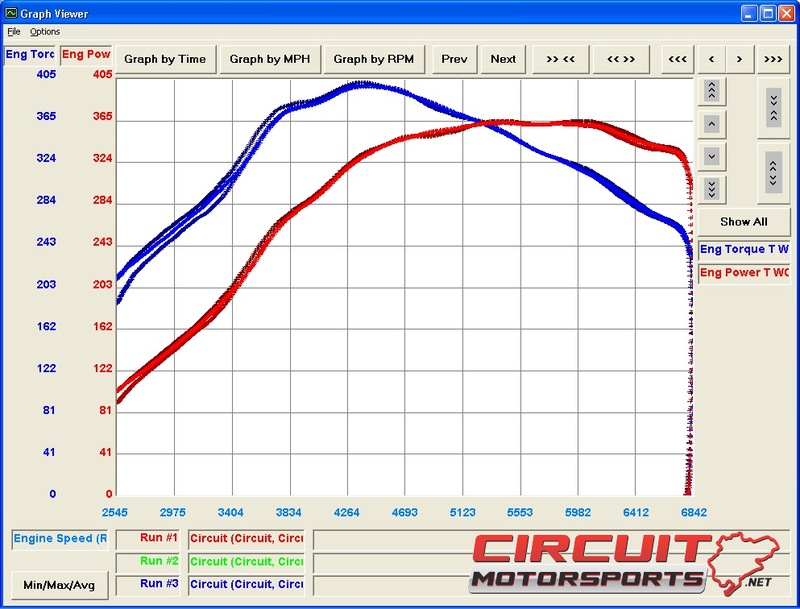 Results were Really, really good for a stock turbo WRX, the average run being about 365hp/400tq - To the Wheels! The runs were very consistent as you can see on the graph below. This shows how well the tune performs and that our numbers are not a one-time run with much lower numbers after or before that the graph below shows 3 runs! Consistency is the key to a good tune, a car that drives well, and a tune that will keep the engine safe! 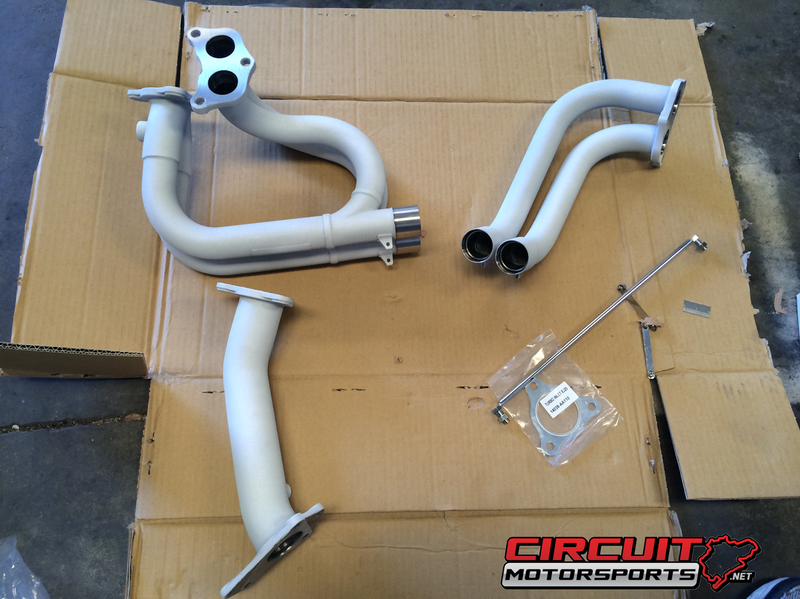 Circuit Motorsports is an Auto Shop specializing Subarus. We are an authorized Cobb Protuner and we can do both street and dyno tuning. We have a full install facility and are capable of performing OEM style maintenance, performance parts sales and installs and tuning.